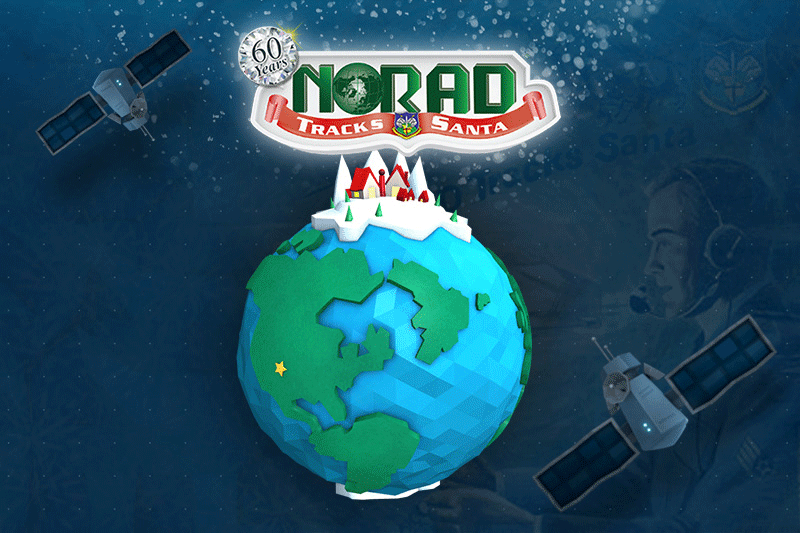 Though we're just getting settled into the month of December and Christmas is several weeks away, the North American Aerospace Defense Command (NORAD), located in Colorado Springs, Colorado, is ready to kick off the holiday season with its Santa Tracker website. This tradition, which is more than 60 years in the making, allows kiddos of all ages to check in on Santa's route and progress every Christmas Eve. "Each year, the NORAD Tracks Santa Web Site receives nearly nine million unique visitors from more than 200 counties and territories around the world," states NORAD's website. "Volunteers receive more than 140,000 calls to the NORAD Tracks Santa hotline from children around the globe." NORAD's Santa Tracker can be especially useful for parents of younger kiddos who may have difficulties getting to sleep on Christmas Eve, 'cause, duh, Santa's coming -- It's exciting stuff! So checking in on Santa's whereabouts as he moves across the country in a flash can be encouraging for your little ones to get to bed on time. You don't even have to wait until Christmas Eve to have all of the fun! The website also offers various arcade games (a new game is released every day! ), music, videos, and much more throughout the holiday season to countdown till the big day. Make sure you visit the Santa Tracker website on December 24 to track the big man in red and his eight reindeer, and before then, too, for all of the activities and holiday-themed fun! What do you think? Have you tracked Santa in the past? Do you have any fun holiday traditions with your family? Let us know in the comments below, and Merry Christmas!